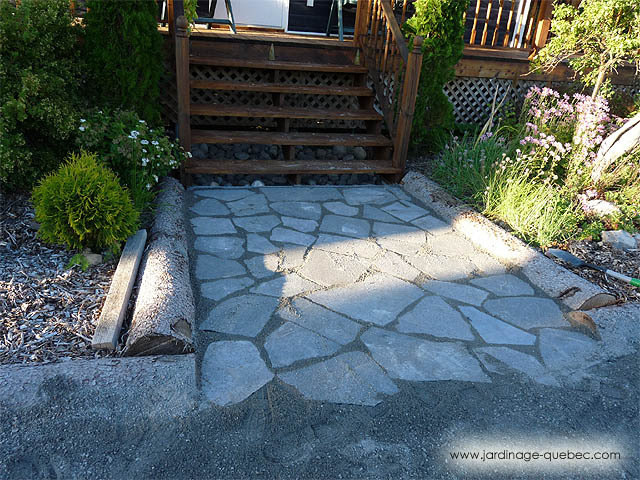 A simple way to pave a garden path for cheap? You only need stone dust and flat stone. Prepare you bed and lay your stones over it. 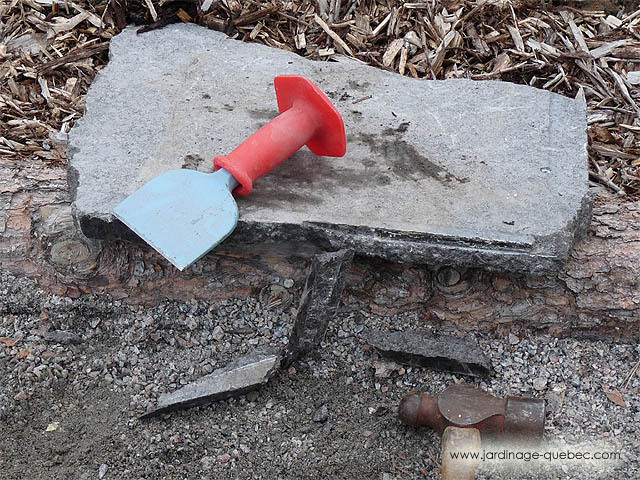 Fill joints between stones using sand or stone dust. Check out this tutorial to know more about it! 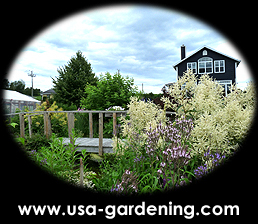 Tombstone residues are used to pave a path or garden path. 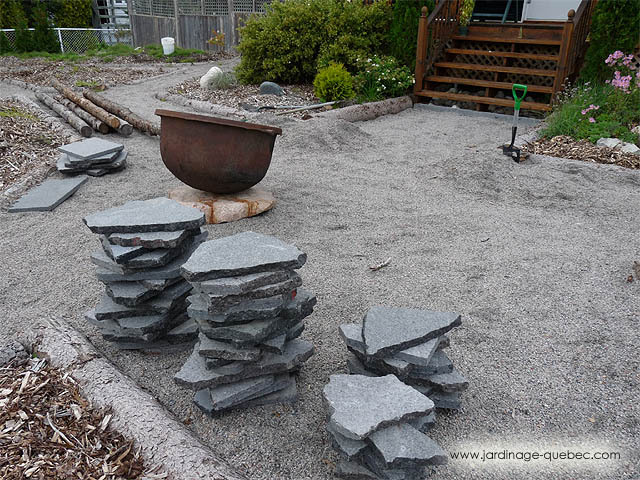 Choose granite stones (or other stones) of the same color that will harmonize with your landscaping. This project can be accomplished with other varieties of flat stones including natural stones and recycled concrete pavers. 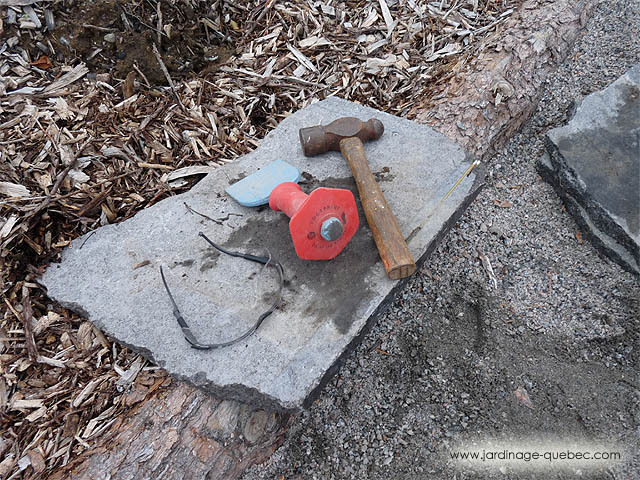 To cut the flat stones, use a masonry chisel and a carpenter's hammer. To avoid shattering stones in your eyes, when cutting, wear safety glasses. Don't forget your work gloves too.